Dhaka, Dec 31 (Just News): Congratulating the people of the country on the occasion of New Year, Bangladesh Nationalist Party chairperson Khaleda Zia on Sunday called upon all to work together for restoring the ‘lost democracy and voting rights’ in 2018. ‘I wish the New Year will bring victory, unending happiness and peace in everybody’s life...I also hope on the beginning of the New Year that all forms of repression, injustice, killing, enforced disappearances, war and conflicts, inhumanity and repressive and barbaric acts will come to an end in it,’ she said in a message on the eve of the New Year. The BNP chief also hoped that the New Year will inspire all to move forward with a fresh vigour putting aside all the failures, disgrace, conflicts and frustrations of the previous year. ‘The previous year will remain as our memory on one hand and hurt us for many bitter experiences, pain of losing dear and near ones and our rights on the other. It’ll also encourage us to go ahead with a fresh drive to restore our rights,’ she observed. 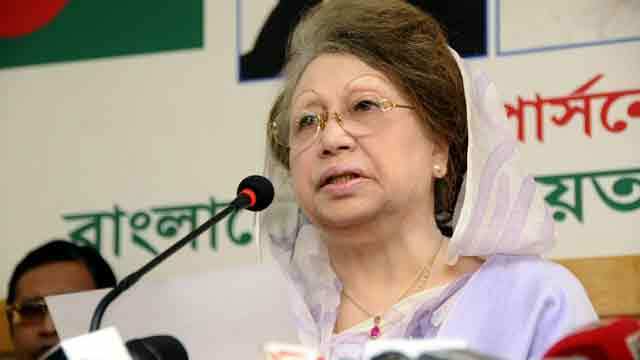 Khaleda said all must get united and work together to turn 2018 into a year of democracy, peace and progress. The BNP chief said the New Year can become a successful year if all get active to build a better future using the past experiences.